Most dirt, and even dust, takes the form of hard particles. When left in the carpet these gritty, sharp particles abrade the pile of the carpet. Regular vacuuming not only prolongs the life of the carpet, but will enhance its appearance as well. 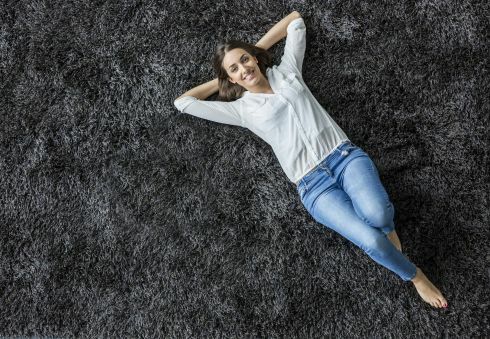 Most soiling in carpet is of the dry, particle type which can be removed with a vacuum cleaner.Vacuum high traffic lanes daily, medium to high traffic areas twice weekly, and the entire house at least once a week.Use a vacuum with a rotating brush or beater bar. Change the bags often and check the beater bars for burrs and gouges so as not to damage the surface of the carpet. Some thick loop pile carpets will fuzz if a rotating brush vacuum is used. In this case we recommend a suction vacuum only. Exercise extreme caution with all bleaches, tile cleaners, mildew removers, oven cleaners, drain openers, and plant food. They are strong chemicals that can permanently discolor or dissolve carpet fibers.